Simonetta, evening gown of embroidered silk. Published in Harper’s Bazaar, October 1952. Photograph by Genevieve Naylor. Genevieve Naylor/courtesy Staley-Wise Gallery, New York. 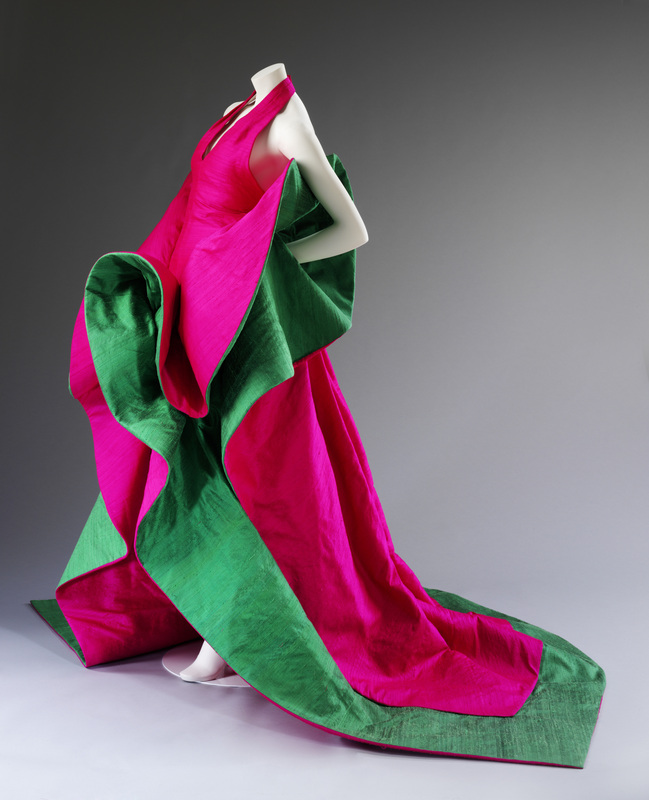 Roberto Capucci, silk evening dress, 1987-88. Courtesy Roberto Capucci Foundation. Photo © Victoria and Albert Museum, London. This major exhibition will be a glamorous, comprehensive look at Italian fashion from the end of the Second World War to the present day. The story is explored through the key individuals and organizations that have contributed to Italy’s reputation for quality and style. The exhibition will include both women’s fashion and menswear, highlighting the exceptional techniques, materials, and expertise for which Italy has become renowned. Italian Style: Fashion Since 1945 will examine Italy’s dramatic transition from post-war devastation to a burgeoning industry facilitated by the landmark “Sala Bianca” catwalk shows held in Florence in the 1950s, propelling Italian fashion onto the world stage. 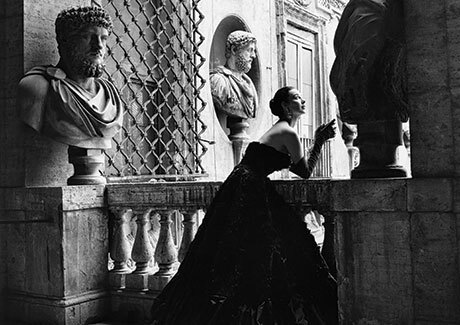 During the 1950s and ‘60s several high-profile Hollywood films were shot on location in Italy, which had an enormous impact on fashion as stars like Audrey Hepburn and Elizabeth Taylor became style ambassadors for Italian fashion, fueling a keen international appetite for luxurious clothing made in Italy. From the early 1970s, the popularity of couture gave way to enthusiasm for manufactured fashion. Milan became Italy’s new fashion capital. Since the mid-1990s, fashion has become a global trade with Italian designers becoming celebrities, solidifying Italy’s reputation as an international tastemaker. The exhibition concludes with an examination of the future of Italian fashion. Italian Style includes more than 100 ensembles and accessories by leading Italian fashion houses, including Pucci, Valentino, Gucci, Missoni, Giorgio Armani, Dolce & Gabbana, Fendi, Prada, and Versace. For its presentation in Portland, the only West Coast venue, the Museum will organize a variety of programs and activities exploring Italian culture and fashion, as well as the emerging fashion scene in Portland. Italian Style is the fourth in a series of exhibitions at the Portland Art Museum exploring design. Exhibition organized by the Victoria and Albert Museum, London, and curated by Sonnet Stanfill, Curator of 20th Century and Contemporary Fashion at the V&A. Host Curated by Brian Ferriso, The Marilyn H. and Robert B. Pamplin Jr. Director.